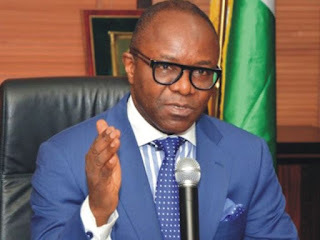 The Minister of State for Petroleum Resources, Dr Ibe Kachikwu, has said that the Federal Government will from 2019 commence the revocation of the licences of oil companies that fail to stop gas flaring in their operations in the country. He said that the Federal Government had been locked in a battle with upstream oil companies over the issue of gas flaring. He noted that the Federal Government was keen on ending gas flaring, but oil companies still give lot of reasons why gas flaring cannot be ended. “Government wants to end flare, oil companies still give lot of reasons why flare cannot be ended. “Bottom line is cash call and money. But the reality is that whether or not we deal with cash call issues, it is not an optional agenda, it is a compulsive immediate agenda. “It is destructive to the populace; it is intolerable in developed country and it should not be tolerated here either,’’ he said. He added that any oil company that could not find a way to ending its flare ought not to be producing. “And I have said to the Department of Petroleum Resources (DPR), beginning from next year, we are going to get quite frantic about this and companies that cannot meet with extended periods — the issue is not how much you pay in terms of fines for gas flaring, the issue is that you would not produce. The Minister stressed that the quest to discourage gas flaring led the Federal Government to initiate the gas flare commercialisation programme. He said that future renewals of oil and gas licences would involve the assessments of the gas components and gas flare rate of each company seeking renewals. “Some of the ones that have come recently for renewals have insisted that they are building massive gas processing plants and we are going to follow this right through so that the supply obligation, the processing facility, the treatment of gas; their submissions are very accurate and very aggressive,” he noted. On domestic supply obligation, he said that there was the need for a critical implementation, adding that it would be extended for both gas and crude oil. Kachikwu said that the country needed to move away from the point of just producing these commodities, throwing it into the vessel and shipping it out, to the point of processing as much of it locally as much as possible. According to him, it is only through this that the country will we be able to create more jobs, create better profit and returns on investments. “It will also help to achieve better pricing and address the challenges of local industries and industrialisation,’’ he said. The Minister disclosed that the Federal Government would launch the infrastructure revamp programme in November. This, he said, has the potential of attracting between 20 billion and 30 billion dollars of investments into the petroleum industry and would also address the infrastructural deficiencies in the industry.